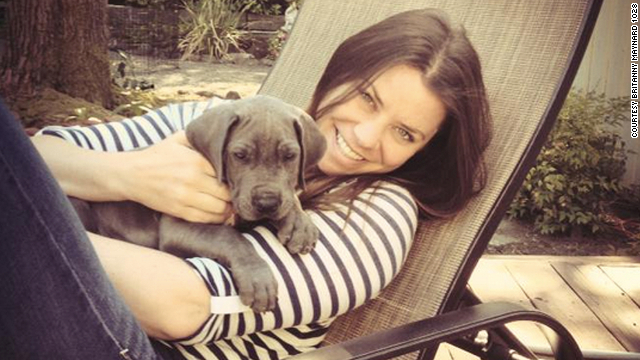 Brittany Maynard with her dog Charley in San Francisco. Maynard, a 29-year-old with terminal brain cancer, has died, advocacy group Compassion and Choices said in a Facebook post on Sunday. Click through to see more photos of Maynard's life. 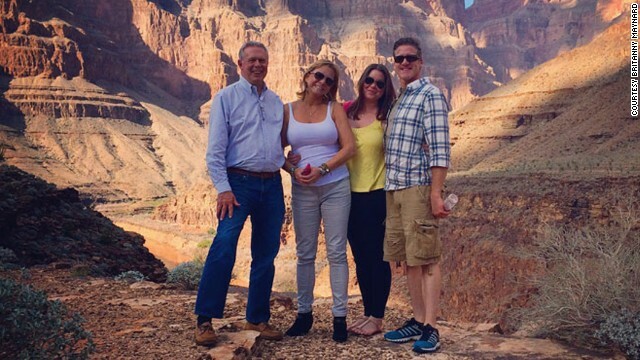 Maynard, second from right, visits the Grand Canyon with her family in October. She had said the Grand Canyon was the last item on her bucket list. 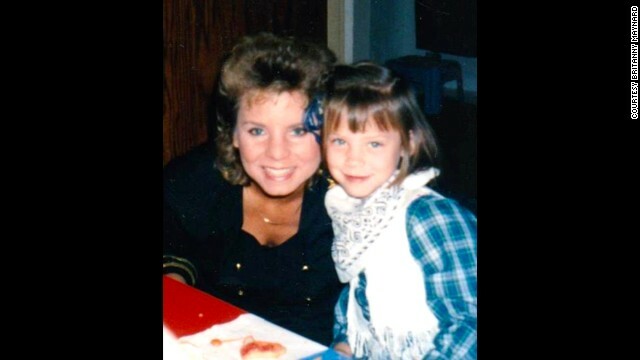 Maynard at age 4 with her mom, Debbie. Maynard with her mom during a trip. Maynard, right, poses for a photo during her travels. Maynard and her husband, Dan Diaz, on their wedding day. They had been married a little more than a year when she was diagnosed with brain cancer. 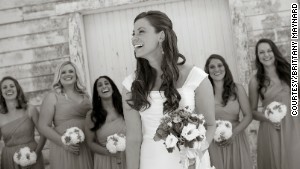 Maynard shares a moment with her bridesmaids on her wedding day. 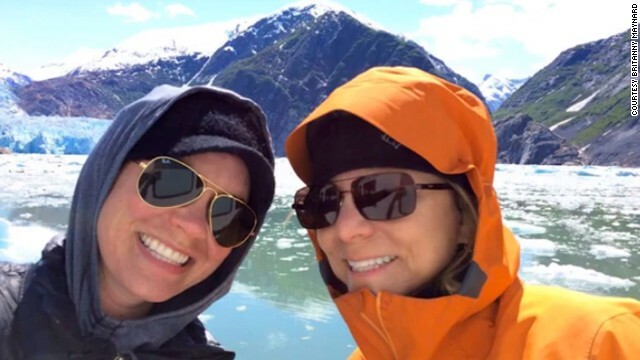 Editor's note: Brittany Maynard worked as a volunteer advocate for the nation's leading end-of-life choice organization, Compassion and Choices. She lived in Portland, Oregon, with her husband, Dan Diaz, and mother, Debbie Ziegler. Watch Brittany and her family tell her story at www.thebrittanyfund.org. The opinions expressed in this commentary are solely those of the author. 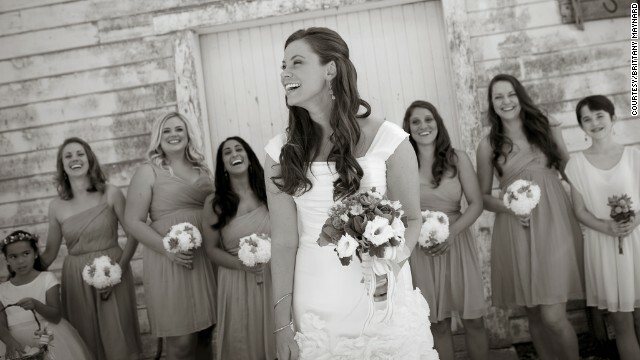 Brittany Maynard shares a moment with her bridesmaids. 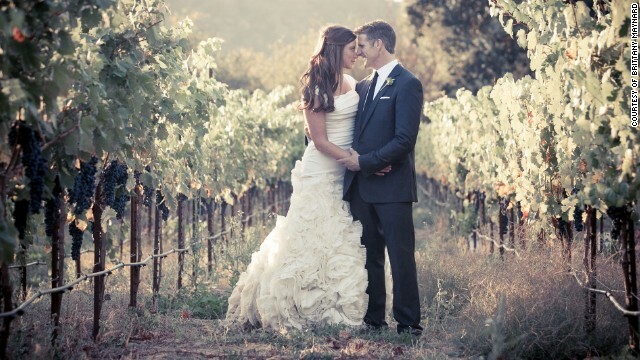 Brittany Maynard and Dan Diaz on their wedding day. She had been married a little more than a year when she was diagnosed with brain cancer. I plan to celebrate my husband's birthday on October 26 with him and our family. Unless my condition improves dramatically, I will look to pass soon thereafter.